Anaheim Dental & Orthodontics provides the most affordable full service orthodontic (braces) and general dental care using the latest digital technology such as our ultra safe low radiation digital panoramic and cephalometric Planmeca xray and digital intraoral Dexis xray. We also utilize the incredibly easy to understand Dolphin Imaging and Aquarium orthodontic treatment presentation softwares to better educate our patients. Our modern office is centrally located in Anaheim in the heart of Orange County California at 2091 West Lincoln Ave near the 5 and 91 freeways. We offer full service dentistry such as orthodontics (braces), Invisalign and ClearCorrect aligner treatment, cosmetic dentistry, Restorative Dentistry (crowns and bridges), periodontics (gum disease treatment), endodontics (root canals), oral surgery (tooth extraction), emergency dental treatment for your tooth ache, and many more. Our central location allows us to serve the cities of Anaheim, Tustin, Santa Ana, Irvine, Costa Mesa, Orange, Placentia, Fullerton, Stanton, Cypress, Cerritos, Buena Park, Brea, La Habra, La Mirada, Westminster, Garden Grove, Yorba Linda, Anaheim Hills, La Palma, and Norwalk just to name a few. 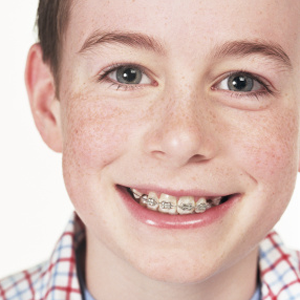 We pride ourselves as the affordable dental office to go to for cheap affordable dentistry and orthodontics (braces). BRACES FOR $2899. DEEP CLEANING FOR $95 PER QUADRANT. PORCELAIN CROWN FOR $550. That’s right. You read it correctly. The prices are not typos. They are just a few of the many reasonable, competitive, and unbeatable prices Anaheim Dental & Orthodontics currently offers to all new patients who do not have any dental insurance. Why pay close to $5000 for your orthodontic treatment (braces) when you can get the exact same treatment by our certified and experienced orthodontist at our office for $2899. Our aim as an office is to maintain a fair not exorbitant profitability because more importantly, we want to impress upon every patients that they get real everyday value at Anaheim Dental & Orthodontics for their dental treatment so that we will get many more referrals from these happy patients in the future for sustainability of our practice. Anaheim Dental & Orthodontics stresses preventive dentistry to all our patients. It all starts with meticulous proper home care of your teeth and gum. Proper daily brushing and flossing coupled with routine dental check up and teeth cleaning can almost without fail prevent huge expensive dental problem in the future. Whether you need a simple filling for a small cavity or a crown, bridge, partial denture, full denture, or implants, our office can provide these services for you. When teeth and gum have been neglected, bacterial growth can take hold and colonize teeth along the gum line and even invade and bury themselves stubbornly under the gum while clinging to your teeth. If such an event has occurred, the treatment of choice initially would be scaling and root planning or commonly known as deep cleaning or gum treatment. The procedure can be broken down into multiple visits or just one, depending on the severity of the problem. Sometimes antibacterial rinse may be prescribed for home use or irrigated under the gum surrounding your teeth at the office by the doctor to supplement and increase the effectiveness of gum treatment. If a tooth is infected to the point where the bacteria have entered the nerve, causing pain and abscess, a procedure commonly known as a root canal treatment is performed. The procedure involves removing the infected nerve so as to render the tooth symptom free. If a tooth is damaged beyond repair or the gum and bone surrounding it is compromised and cannot support a tooth any more, the last resort and only treatment option is extraction.